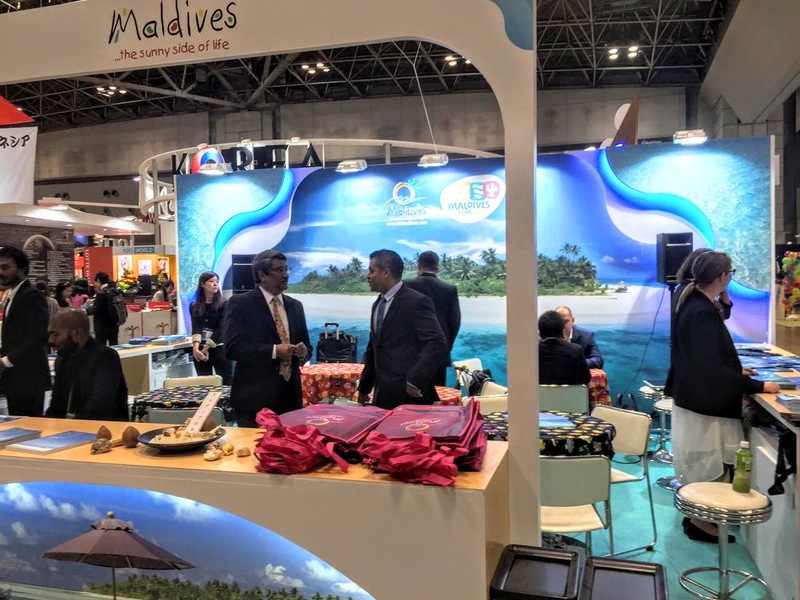 The Maldives Marketing and Public Relations Corporation (MMPRC) is taking part in JATA Tourism EXPO Japan 2015, along with 7 representative companies from the tourism industry. This annual event is set to take place at the Tokyo Big Sight in Tokyo, Japan, from 24 – 27 September 2015. JATA Tourism EXPO Japan is an integrated leading tourism event by the Tabi Fair Japan and the JATA “TABIHAKU” Travel Showcase. This is a well-organized event inclusive of International tourism forums, business meetings, travel showcase, award commendation and ceremonies. JATA Tourism EXPO Japan is the world’s largest tourism event to take place in Japan, where the integration of these two associations held its first collaborative event in 2014 and successfully executed the fair with over 157,589 visitors to have attended the fair, along with participation of 1129 companies/organizations from 151 countries/regions. With such diverse industries focusing on tourism, this platform provides various promotional opportunities for all those involved in tourism and the world’s travel professionals. JATA Tourism EXPO Japan continues to grow as a leading international event, helping to promote domestic, overseas and inbound tourism. At JATA 2015, several activities will also be taking place at the Maldives stand, with the help of the Maldives embassy in Japan. These activities include Bingo games with the winning prize of a holiday package to a selected resort, and a special performance by a Japanese would be singing Maldivian songs on the final public day. The Japanese market was once among the top 5 markets in terms of arrivals to Maldives. While the market has dropped over the year, they still remain among the top 10 markets and show potential for growth. The Japanese enjoy their travel to tropical destination and is a huge market for the dive segment of the destination. 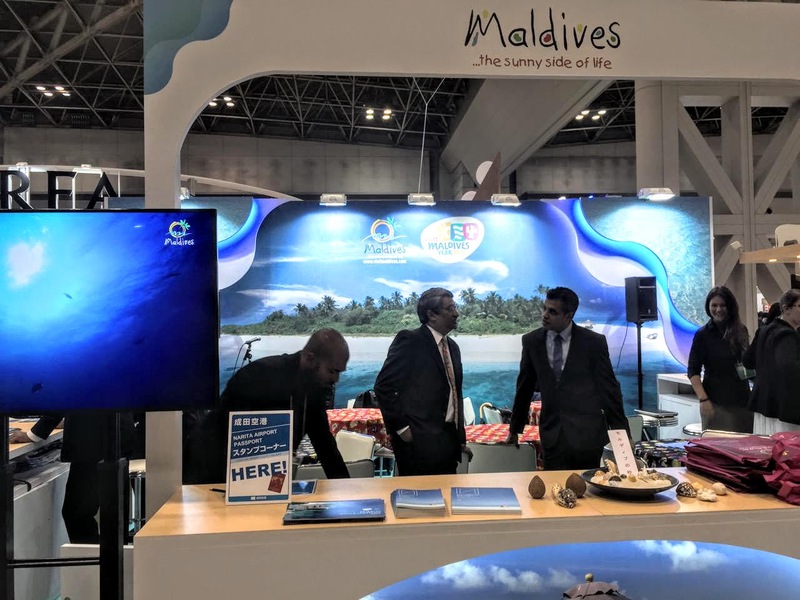 This gives Maldives an advantage over other destination as Maldives offers free visa on entry and easy connections between Japan and Maldives. 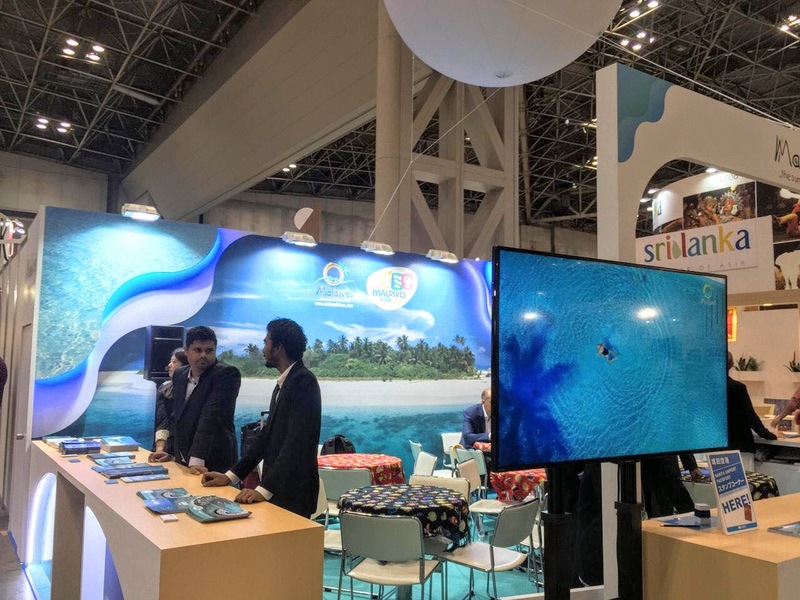 Through right promotion and exposure at JATA Tourism EXPO Japan 2015, Maldives tourism could have a positive growth with increasing arrivals from the Japanese market once again.